Joining the lovely group of writers over at http://www.fiveminutefriday.com to write to the prompt “With” today. Why, don’t you hop over there and see what others did with “With”! Are you ready? There are only four days left until Christmas! Have you found the perfect gifts? Are they wrapped and placed under your beautifully decorated tree? Do you have your menus planned and the groceries stocked up in your cupboards? Are your cards and packages mailed to all those who are far away from you this season? Or maybe, just maybe…..you’re more like me: still finishing your cards, nothings wrapped, as a matter of fact, you’re still waiting for gifts to be delivered, and you have no idea what you need to get at the grocery store. Well, guess what? Christmas will come with or without all the preparations being made. Think back to Mary and Joseph. They had a long trip ahead of them. Joseph had readied a donkey for Mary to ride upon. I’m sure Mary had prepared food for the journey. They’d thought it through and everything seemed to be in place. That is of course, until they reached Bethlehem and found they weren’t prepared at all. They weren’t in a warm, cozy room at the inn. Christmas came without it. Mary wasn’t prepared with baby clothes and a blanket but instead, had to wrap Him in cloths. Christmas came without them. There was no cradle to rock Him in, just a manger full of hay. Christmas came anyway. It wasn’t as they had hoped or planned but their baby met them right. where. they. were. That’s the message for us this Christmas and every day: Jesus came to meet us right where we are. We don’t have to do this or that. Have this or that. Be this or that. Just like Christmas, Jesus comes with or without our feeling prepared to meet Him. And He loves us just as we are. Yes, Christmas is only four days away and you may be sitting in the midst of wrapping paper rolls, ribbons and piles of unwrapped gifts, covered in flour as you roll out cookie dough, or find yourself tangled in strings of lights attempting to finally decorate the tree, all the while worrying that you’re not prepared. Take a deep breath and remember that Christmas will come, with or without every little thing being perfect and it will be fine. More importantly, remember that Christmas HAS come, long ago as a baby in a manger; Who’s gifts of hope and love are for each one of us, wherever. we. are. Wishing you all a very Merry Christmas and if you’ve felt Jesus knocking on the door to your heart, now’s the perfect time to answer, make room, and let Him in to meet you where you are. 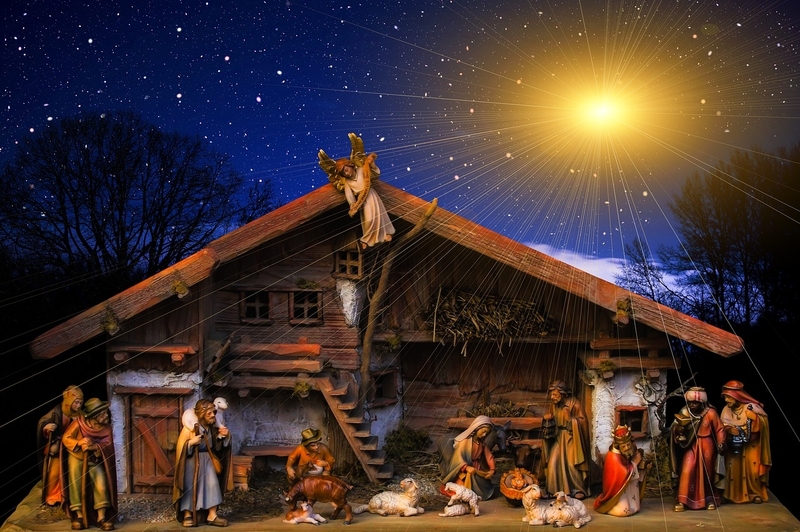 This entry was posted in Blog, Five Minute Friday, Inspiration and tagged #fmf, Christmas, Five Minute Friday, Gift of Jesus, manger, preparations, prepared on December 21, 2018 by Cindy.